Buffalo State signed a memo of understanding (MOU) with Universidad Central “Marta Abreu” de Las Villas (UCLV) in Cuba recently, paving the way for developing undergraduate and graduate programs and joint research projects. Both institutions also expect to collaborate in events such as symposia and workshops. It was the first MOU between UCLV and a U.S. institution; it’s also the first time that Buffalo State has partnered with Cuba. Cortland, Farmingdale, Stony Brook, and Old Westbury also established MOUs with Cuban universities during the recent visit. President Conway-Turner was among SUNY presidents who visited Cuba in February 2017 to begin the dialogue. 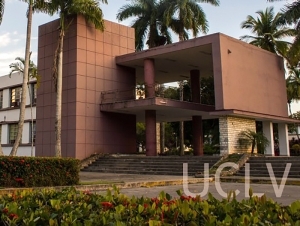 At that time, SUNY and the Cuban Ministry of Higher Education laid the groundwork for individual campuses to develop relationships with Cuban colleges. Conway-Turner also visited Cuba earlier with a group of presidents from the American Association of State Colleges and Universities.